Hursley Village Fete is the highlight of the summer for many residents, and local house builder, Bovis Homes, was delighted to be part of this year's event. 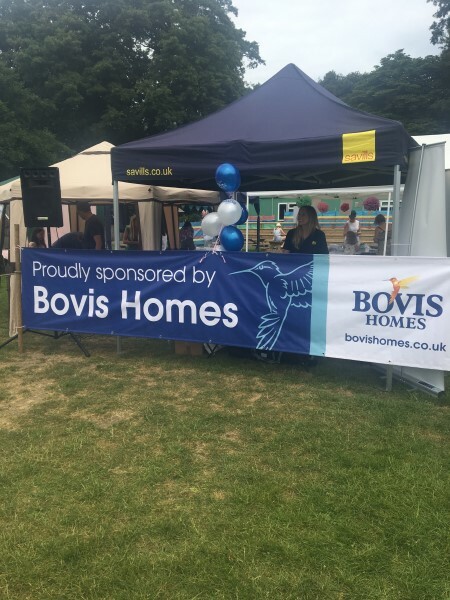 Having recently joined the local community with its nearby Winchester Village location, Bovis Homes sponsored Hursley Village Fete, which this year was themed 'beside the seaside'. Taking place at John Keble Primary School, the organisers welcomed hundreds of visitors to the day, which included activities and games as well as stalls and refreshments. Representatives from Bovis Homes attended the event, along with partners Savills Estate Agents. Recently announced as a finalist in the South Coast Property Awards, Winchester Village has become a popular new part of the Hampshire community. For more information about Winchester Village, go to www.bovishomes.co.uk, call 01962 440445 or visit the sales centre, open daily from 10am to 5pm.